Hey can we get a version that makes it appear even if we've discovered the location? 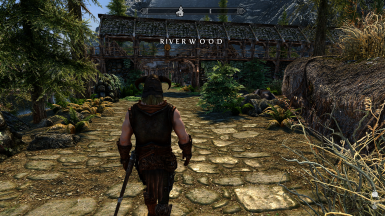 What ENB are you using? I like the sharpness. Holy s***, this simple changed adds so much to the experience! Didn't know how much I needed this. Thanks a ton! Edit: here is a suggestion. How about you also change the message for when we level up a skill so it says "Insert Skill" instead of "Insert Skill" Increased. How about a mod that says "insert skill" "level increased to" instead of "insert skill" increased to "level increased to"? Thanks for making this. Finally using SE now that the mods are developed enough haha. Enjoying this mod. I was wondering, if you added a few spaces in front and an equal amount behind, would that allow the text to stay on the screen a bit longer while keeping it centered and only displaying the location name? Sometimes the messages goes away so fast with smaller location names, it's gone before you notice it when you're just moving past a spot and happen to trigger it. Unfortunately, the text for "Discovered" and the text for the location name are two separate strings. So I could add the spaces before, but not after. Sorry. I'm sure there's another way to go about making the text stay on screen longer but I have no idea what. This is the mod I didn't know I needed until I got it!